The Fanvil X6 is user-friendly and easy-to-use standard SIP phones that enrich your communications experience. Fanvil X6 IP Phone delivers advanced capabilities with a 4.3-inch color, wideband speaker, USB interface, and integrated gigabit network ports. The X6 is a Competitively priced and high performing desk phone designed for busy managers, executives and Receptions. The Fanvil X6 IP Phone color display Gigabit Ethernet, a secondary Ethernet port, and support for up to 60 DSS Programmable Keys.Users can take advantage of the large, color display for easy access to a select group of features that are critical to collaboration. The FANVIL X6 VoIP Phone Enhance telephone user experience with high-fidelity wideband audio and improved navigation options. The X6 IP Phone demonstrates the latest advances in VoIP telephony, including wideband audio support, color screen display, and an integrated Gigabit Ethernet port. It addresses the needs of the executive or major decision maker, administrative assistants, and the color display is large and comfortable to read.This advanced phone from Fanvil help your teams communicate efficiently with exceptional audio quality and built-in flexibility. The Bluetooth support further enhances the enterprise communication by utilizing Bluetooth headset of your choice.The EHS Port in Fanvil X6 Supports Plantronics EHS Wireless Headset.The POE Supported ethernet ports help easy connectivity without power supply. Fanvil Phones are enterprise SIP phones are cost-effective, simple to install and easy to use with future-proof technology.The Fanvil X6 offers an excellent price to performance ratio and is fully certified with leading PBX providers.The Fanvil X6 also saves you money since there is no need to purchase a DSS expansion module. Despite the increasing popularity of advanced communication forms such as the email and other networking tools, most business still depend on telephone systems for their communication needs. But the advancement in technology has brought significant changes in the phone service and the options for purchasing a new telephone system are more numerous than ever before. The fact is that, the telephone systems remains an important element for the development of an organization. It is the medium through which the first contact is being made in a business. From the standpoint of school communication, the schools telephone systems has a huge advantage and it work towards the improvement of the education institutions. Applying various functionalities is essential to get the most out of this communication tool in the institution. 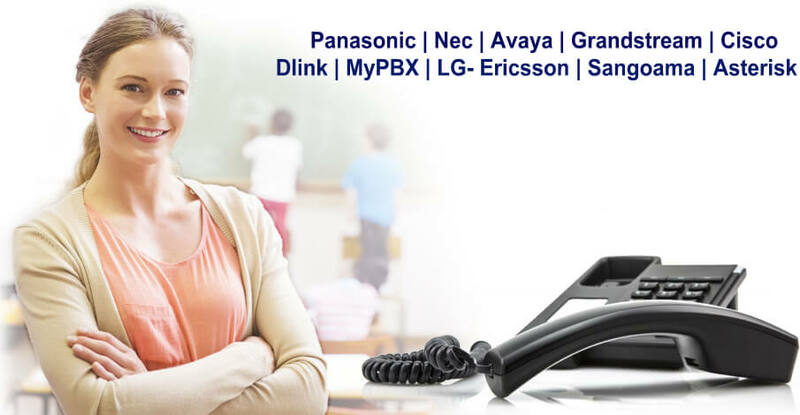 Are you looking for new telephone system for school? As a leading telephone company in Dubai, we help you to deliver proper support for the effective communication management among teachers, students, staffs, parents and the school administrators. The members of the schools can be notified of the events such as the meetings, transport issues and other events effectively. Handling emergency situations: It’s an undeniable truth that the schools need a brilliant telephone systems that work in line with needs. The schools must be very alert about the safety of the students. Hence the schools need to have a robust IP telephone system that can push emails, alerts via SMS to assigned administrators and staff. Access to voice mail via phone over the network allows teachers to retrieve their messages wherever they are. Smart call handling made easy: Our solutions helps you effectively connecting students, parents and teachers efficiently. The smart options available with the phone system route the incoming calls to the relevant person in charge thus reducing the waiting times. With the various calling features callers can be instantly connected via voice mail, IM, email, SMS and so on. Enhancing the learning experience: The advanced telephone systems for the schools can be effectively used to improve the learning experience. For the students it is vital to stay informed. With our advanced solutions, we make sure all your content (audio video or text) is shared among the students and teachers. With the advanced functionalities and options in the systems, students can be successfully involved in advanced form of learning. Whenever the schools does require any online or distance learning opportunities, we make it possible with our leading conferencing and telephone systems in Dubai. Through our advanced systems, we increase greater collaborative learning and bring cost effective solutions for your schools. We involve with wide range of systems that are capable to produce expected results of the institutions. In order to develop reliable solutions, we depend on world class telephone systems including Avaya, Dlink, Panasonic, Grandstream, NEC, Sangoma, Samsung, Yeastar, LG Ericsson and Cisco PBX systems. Safety is an important concern at any schools. Our telephone systems not only helps the members to stay updated, but also delivers state of the art smart features that allow students and staff to get the emergency help when they require. The phone can be customized according to the need of the schools. If you are in a drive to improve your communication needs or to organize a new infrastructure in Dubai, it is good to put trust in us. We provide solutions with the branded telephone systems for schools across UAE. Adept at designing and implementing, we are considered among the best telephone system provider in Dubai, UAE and with our complete solutions, your school is ready to get the desired results. If you think now is the right time to deploy or restructure your telephone systems our various solutions are in offer for you. Please contact us for a reliable conferencing solutions in Dubai. As the leading telephone distributor in Dubai, we deal with all types of VOIP solutions across the entire UAE region. We make you available all the feasible solutions that stands out with the branded conferencing systems and more. We plan, implement and incorporate the conference systems that suits your school atmosphere thus making your school environment more dynamic. Our services are available in the regions of Abu Dhabi, Ras-Al-Khaimah, Sharjah, Umm Al Quwain, Al Ain and Ajman as well. So why hesitate to extend your decision on implementing with the leading Telephone Company in Dubai. Streamlining the communication is a must in the happening city of Dubai. It is important for the institutions to develop a good planned telephone system in order to connect students, staffs, parents and administrators effectively. With the leading IP telephony provider the telephone systems for schools can be tailored to meet the unique communication needs. As other parts of the world take steps to improve the connectivity and foster the communication infrastructure, now it is your turn to come up with the advanced systems to revel in. Yealink is a leader in VoIP endpoints and solutions.Yealink offers Video conferencing solutions for all type of business model regardless of size. Whether its a large audience training, enterprise boardroom, SMB’S or Medium business Yealink Videoconferencing product match everybody’s needs. Yealink Video conferencing is all about see and heard different geographically displaced participants properly without the hassle of complexity. Yealink Video Conferencing systems are real-life solutions and designed with customer point of view in mind. Yealink cloud infrastructure YMS further reduces the hassle of connectivity.Yealink makes The video conferencing deployment easier by integrating multiple features into a single device. Meeting Management Server, Integrated MCU, Registrar Server, Traversal Server, Directory Server and Device Management Server are integrated with the single unit. Yealink devices support peer to peer connectivity, as well as connectivity, threw Yealink cloud infrastructure. Cloud Infrastructure help workforce to collaborate with their smart devices. Yealink offers a mobile app for conference connectivity for while the workforce on move or work from home. One button join meeting and one button meeting are seamless features of Yealink Video Conferencing Systems. Yealink offer different type of hardware and software to meet every client’s meeting requirement.It is classified as boardroom devices, small to medium meeting rooms, huddle room, lone executives and remote workers. The value created by Yealink with robust technology and quality products making your team more productive and effortless. Fewer bandwidth requirements and better network adaptability is a core feature of Yealink conferencing. The newest technologies like H.265 reduce the video bandwidth dramatically.The Resist packet loss technology ensure seamless video and audio connectivity under poor internet connection. The newest models of yealink products using H.265 compression and previous models uses H.264 compression.Yealink charges no additional licensing fees for dual-screen support, recording, software upgrade or content sharing. Yealink exhibit the most comprehensive Video Conferencing product line with the latest technology.Yealink Conferencing brings people together at any time from any location with one click access.These products ensure lifelike communication for small and medium meeting rooms.The management, deployment, and usage simplified in a way that network traversal and business contact management easier than ever. Yealink is compatible with most of the widely used video conference systems. The Yealink W56H Dubai is a cordless IP-DECT Handset that can be added to Yealink’s W5 6P scalable IP-DECT Phone. The W56P is supplied with one Handset; up to 4x farther handsets can be added.Yealink DECT phone answers address communication needs for on-the-go workers in various industries such as SOHO, warehousing, catering and retailing. The answers include the W52P and the W56P for customers’ various custom needs and budget. Equipped with ECO friendly technology and rich telephone functions, the W56P complete solution with w56h ensures client enjoy smooth and effective wireless communications; The upgraded W56P, the same great DECT phone as the W52P, has a sleeker design, a better battery performance and improved functionalities, allowing busy workers always online” with a pleasant consumer experience. The W56h is a complete business-grade SIP Cordless Phone. This state of the art IP-DECT solution W56P supports up to 5x W56H cordless IP-DECT Handsets per Base Station, and is designed for initiatives who are looking for a scalable SIP-based mobile communications system that offer immediate cost savings. Yealink phones are always user friendly and cost effective compared to other brands. So, don’t hesitate to choose yealink ip phones for your business. Call us today we are here to help on product selection and free proposal. The Yealink CP860 conference phone Dubai is designed for small- to medium-sized meeting rooms. The CP860 SIP Conference Phone offer many important audio features including optima HD technology, a build-in 3 microphone array, full-duplex technology and acoustic echo cancel. The three microphones ON CP860 have a pickup range of approximately ten feet and it is designed to cover the entire meeting room. For more in-room participants it support two additional microphone that can connect to phone’s EX ports. The phone also supports mobile and computers through the 3.5 mm port. Yealink CP860 had conference call recording support on a USB flash drive. Up to five parties can join a meeting on the Yealink CP8 60 phone. The five-way conferencing support enables the phone to bring more essential personnel into important calls. Audio quality through the phone is improved through Optima HD voice technology, echo cancellation, background noise suppression and more. Yealink phones are always user friendly and cost effective compared to other brands. So, don’t hesitate to choose yealink ip phones for your business. Call us today we are here to help on product selection and free proposal. Grandstream GXP 1780 supports four sip accounts and 8 line appearances.It is a mid-range telephone with a very economical price tag.The sleek design gives an executive look and the features best suited for growing businesses.GXP1780 is coming with 32 digital onscreen BLF keys, and it constructs it suitable for reception as well.The device supports Dual 10/100 ports, and 200 x 80 pixel backlit LCD screen gives clear view of the screen.The Grandstream GXP1 780 is a perfect choice for users who are looking for a feature packed VoIP phone at the lowest price.This telephone has several configuration options integration with advanced web and enterprise applications.Personalisation options like personalized ring tone and ring back tone music also available.These Grandstream Phones support easy configuration with several IP PBX Systems and Grandstream Telephone System itself. The Grandstream GXP1780 VoIP Telephone supports dedicated function keys for a directory, transfer, meeting, headset, mute, and volume.Four-way navigational keys support the menu navigation.Advanced call features include hold, call transfer, call forward, auto answer, call park, call waiting and off-hook automobile dial. 5 Party audio conferencing and advanced security is a standard feature. The Panasonic HDV330 IP Phone support up to 12 SIP Lines with a large 4.3 Inch touch screen.It comes along with 24 programmable function keys for user convenience. HDV330 Supports up to 5 HDV20 Expansion module and allow a total of 224 functional keys.Panasonic present HDV330 as a high end for busy executives and receptionist.It brings the balance between high quality and sleek design in your office place. These exceptional IP Phones coming with inbuilt Bluetooth functionality.You can use a wireless Bluetooth headset for convenient response to incoming calls. HDV330 equipped with 2 GIGA Network POE ports allows convenient phone connection at higher speeds. The Yealink CP920 Conference Phone support wi-fi and Bluetooth for easy connectivity and collaboration for a hassle-free conference call.The touchscreen enables high-quality conference experience by putting all of the key conferencing functions at your fingertips.Yealink CP920 offers Optima HD and Noise Proof technology and it makes sure distraction free conversations.It has a built in three microphone array provides a coverage of 20 feet in 360 Degree. The CP920 is a SIP Conference phone and well suited for all the SIP-supported VoIP platforms.The inbuilt Ethernet port having the capacity of Gigabyte network connectivity as well as POE support.The USB Port help you to record conference calls locally. The CP920 Conference Phones are designed for small-to-mid-sized meeting rooms. Direct analog lines can connect to CP920 and able to establish 3-way PSTN conferences via Yealink CPN10.With VoIP Connectivity CP920 can handle 5 Way Audio Conferencing. The Yealink VC800 Video Conferencing System offer user-friendly interface making sure simple meeting control. The 24 site meeting capacity best suits this video conferencing unit for large geographically dispersed organizations.Along with this VC800 support 2 Virtual meeting rooms.The provided 12X optical zoom PTZ camera support 1080P/60FPS on video calls offer excellent quality in your video conferences.Along with provided CP920, Video Conferencing system VC800 creates a better audio, video solution.VC800 ensures that anyone in the workspace has quality video conference experience with Harman Kardon speaker, Opus codec, two DECT-based wireless expansion microphones and quality 20ft/360° voice pickup distance. Yealink VC800 offers an all in one design, combines codec and camera together, reduce the hassles of too many cables. RJ45 network cable could connect TV area, and a conference table and Touchscreen VCS Phone make the meeting control simple. The most important part of the VC800 Video conference unit is it video compression codec. It uses H.265 compression, and it reduces the bandwidth requirement by 50 % compared to H.264 compression.With h.265 Compression, the video bandwidth requirement reduced to a minimum of 512 KB. The Yealink anti packet loss technology ensures smooth conferencing even at a 30 % packets loss. The VC800 Video Conferencing System support standard H.323 and SIP Protocol. The SIP support enables further integration support with the business telephone system. Yealink VC500 is a dynamic, powerful Video conferencing system offers unique features to provide users with impressive conferencing experience without clutter. The VC500 coming with 5X optical zoom camera and PTZ functionality.Yealink VC500 offer 1080P/60FPS video calls, making your business highly interactive. 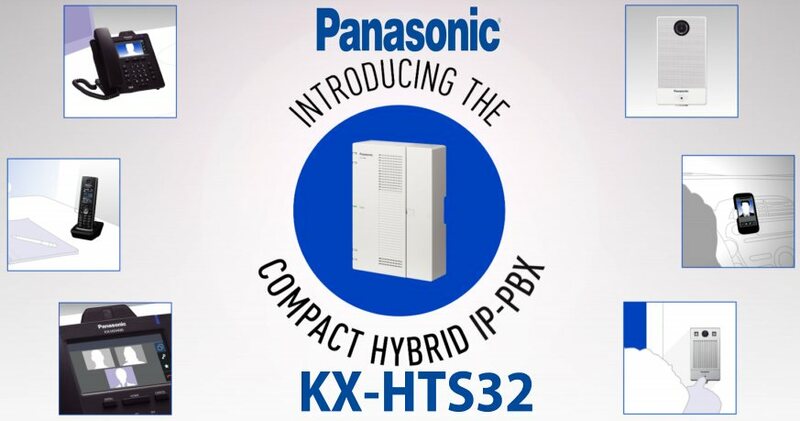 The H265/ HEVC compression dramatically reduce the bandwidth requirement and resist up to 30 % packet loss due to poor internet connectivity. 512 KB dedicated bandwidth is far enough for conducting an excellent video meeting. The inbuilt Opus, and HD voice – backed by Harman speakers ensure a high level of audio quality.Yealink Video Conferencing Systems are Known for technologically advanced solutions and out of the box thinking. The VC500 camera can easily deploy on top of the standard LED TV. The VC500 cameras are optimised for even low light conditions. The Yealink VC500 available in 2 models. This model utilizing wireless DECT technology and offer 2 wireless mic pods. It optimizes mobility as well as neat connection while providing stable voice transmission. This model includes the touch-sensitive CP920 Phone backed by 10W Harman speakers.It allows the user to manage everything from the conference phone touchscreen. Avaya 9404 Digital Phone is an ideal choice for companies wishing to add digital terminals with a similar user interface to existing equipment.With its ergonomic design, high sound quality and rich functionality, the 9400 series phone will add value to the corporate telecommunications infrastructure.The Avaya 9404 digital phone has a great design and superb sound. A large display and paperless digital labels make it easier to use the phone. A high-quality built-in speakerphone is a guarantee that everything will be heard and everyone will be heard. The Avaya 9404 Phone is very user-friendly and familiar functional interface. Almost any user intuitively understands how to operate the main functions with fixed keys, and easily understand the function keys using contextual prompts. ▪ Fixed buttons: Menu, Redial, Transfer, Conference. ▪ Headset jack and on/off button. headset. Your Avaya IP Office solution enables seamless voice, video, and mobile communications for team and customer engagement. But when a telephone system ran in to trouble or need immediate addons then a reliable support is an immediate requirement. It is vital for a business to stay connected in modern business era. We help business to be stay connected with their Avaya telephone system by offering Avaya support and Avaya Maintenance contracts. 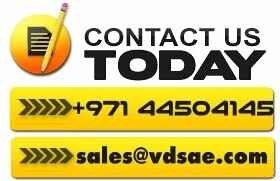 VDS offer support for Avaya telephone system in Dubai as well as other emirates in UAE. We help business across UAE with the following Avaya Services. Nothing beats the telephone system when it come to business communication.Telephone system is the primary way to keep in touch with current customers. What happens if it doesn’t? What are the true costs to if your business if your customers cannot contact you or you cannot contact them? . Our Avaya support contracts are designed to maintain your telephone system with minimum down time. We have the expertise to deal with your avaya issues quickly and efficiently. We provide Avaya maintenance contract to companies throughout UAE includes all the emirates.Our Avaya maintenance contract provide complete peace of mind to business owners or manager as your essential business communication functions are covered. Our avaya service contracts are reasonably priced and will ensure that business downtime is minimized.